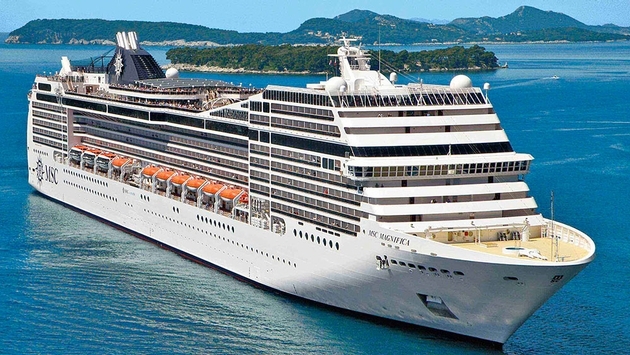 MSC Cruises has set out to plan the line’s first ever world cruise aboard its MSC Magnifica. The voyage is scheduled to depart from Genoa on January 5, 2019 with a return to the Italian city 119 days later on May 3, 2019. The line says the ship will be the largest and most modern to embark on such a journey. Available roundtrip embarkation and disembarkation ports are Civitavecchia/Rome, Genoa, Marseille and Barcelona. “As a company, MSC Cruises is committed to providing truly special and unique experiences to its guests. For this reason, when developing the world cruise and its one-of-a-kind itinerary, we have listened to our guests feedback and know that for many the opportunity to travel the world in comfort and style is a lifelong aspiration,” said MSC Cruises’ Chief Executive Officer Gianni Onorato. 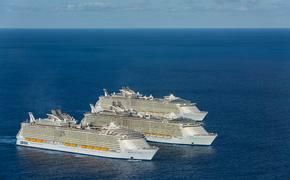 During the cruise, the ship will visit 6 continents, 32 countries and 49 total port destinations ranging from the archipelago of Tonga and waters of Bora Bora to Cartagena and Aqaba. Also included will be the likes of New Zealand, Fiji and the Maldives. On average, travelers will have 13 hours per port to enjoy ashore, as well as extended stays with four days in Polynesia, three days in Hawaii, three days in San Francisco and two days in Los Angeles. Guests will be granted 15 complimentary shore excursion credits to choose from opportunities such as riding the elephants of Pinnawela, snorkelling the lagoons of Moorea or exploring the Nga Bay National Park. Onboard benefits will also extend to a 30 percent discount on laundry services. The 3,223-guest MSC Magnifica was recently built in 2010 and features a large number of balcony staterooms, four restaurants, eleven bars, casino, nightclub, theater, 4D cinema and MSC Aurea Spa. The world cruise is currently on sale exclusively to MSC Voyagers Club loyalty members and will open to the general public on December 14, 2016. Rates begin at $16,999, which is only $144 per person per night. Club members are currently eligible for a complimentary mealtime drinks package in addition to triple membership points available at booking.